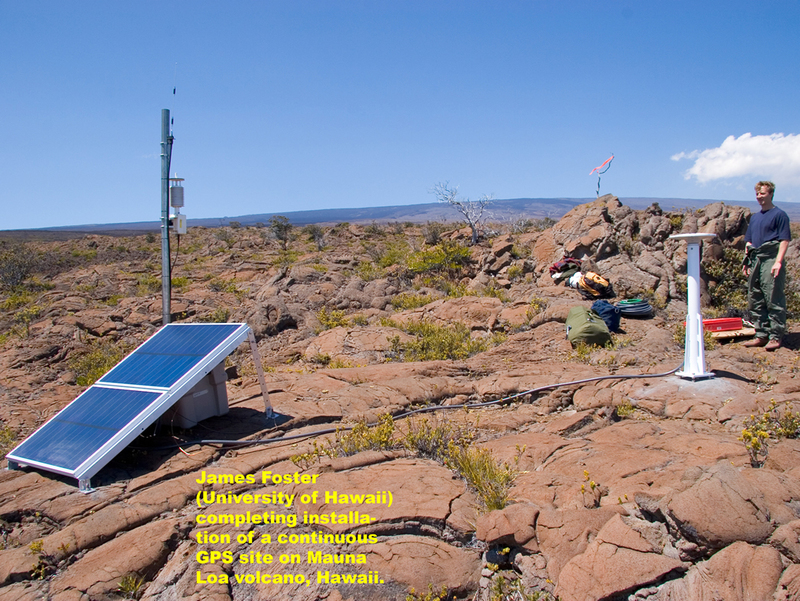 The University of Hawaii, the USGS Hawaiian Volcano Observatory and the UNAVCO Facility installed eleven new continuous GPS sites on Mauna Loa volcano, Hawaii, in March 2005. Each GPS site consists of a Trimble NetRS receiver, a Trimble Zephyr geodetic antenna mounted to a Tech2000 monument, and an Intuicom ethernet bridge radio. These sites will improve monitoring capabilities and will allow much more accurate models to be developed of the magmatic and structural processes at work within Hawaiian volcanoes. Mauna Loa, the most massive volcano on Earth, last erupted in 1984 and has recently shown signs of increased activity. 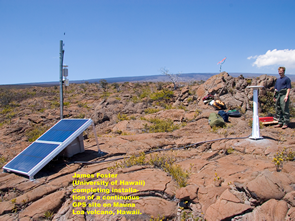 This new network increases the total number of continuous dual-frequency GPS sites on Mauna Loa to 24, the preexisting sites being installed by HVO and Stanford University. Additionally, 18 continuous dual-frequency sites operated by HVO, UH and Stanford are currently installed on Kilauea volcano. There are also 2 L1 CGPS sites on Mauna Loa and 10 L1 CGPS sites on Kilauea installed by HVO and UNAVCO. Data from all these sites are archived at the UNAVCO Facility. This project was funded by the National Science Foundation.